On page optimization are the primary stages of SEO which every designer need to look into. If you do appropriate on page optimization for your website, you will get not only good website ranking in a search engine but also an overall increased readability in your website for visitors. What are on page optimization factors? Website content is what sets your website apart from the audience and provides the right message to the minds and hearts of your customers. The success of your web site is decided mainly by its content and management of its structure as well as external accounts like Google+, Google My Business etc (see Local Viking to learn about the software making business people’s life much easier). Finally, content benefits the wallets of the customers. All other components in your web site (design, visuals, videos, etc.) provide an additional support role. If you have effective taglines, great design will simply enhance their performance. Design itself is not purchased. Title tag is the second most important on page optimization factor for SEO, after content. A title tag must be short but detailed enough for your visitors to identify both you and your business. Title tag is the second thing that is shown and indexed by the search engines. Your sites title has to be interesting enough to find out more information. On the other hand, your title has to be interesting enough to the search engine to be able to get ranking you above thousands of other related websites like yours. A website’s Meta description should have a brief description of your web site being focused on areas and services that your online business is specialized in. This small part of text can be viewed as a selling snippet, if a user finds it appealing he is likely to click and go into your page to find out more information. SEO friendly URLs structure for each of your website pages is highly suggested, as these carry improved crawling and indexing. Shorter URLs appear to perform better in search engine results Pages (SERP), but however that is not the only real factor. URLs which include specific keywords also perform more effective. The position of these keywords can also be a major effect. 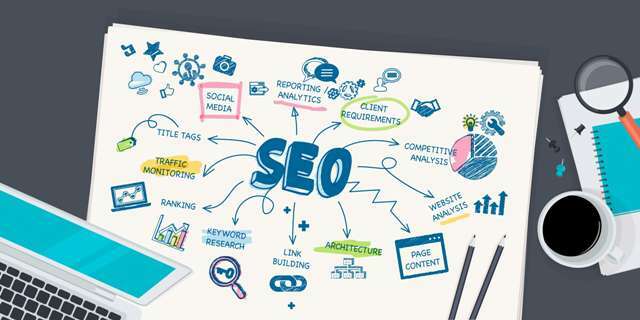 For example https://freelancingsolution.com/seo-services/ would perform more effective than https://freelancingsolution.com/32/730/seo-services/ etc. When writing your articles, you should break up your content into smaller sections and paragraphs to make it easy to read. These sections can be given heading, which is where H1, H2, H3, H4, etc. tags are used. When start writing your contents, you need to separate your content into smaller parts and paragraphs to make it easier for people to read. These parts can be given heading, which is where H1, H2, H3, H4, H5, H6 tags are used. Header H1 is the most important part of your page. Generally Header H1 is used for website’s title or header text. Header H2 and H3 can be used for Page/Post titles or important parts of your web pages. Separating your web content with header tags is a good practice as it makes your website more readable and easy to understand. You can use bold (e.g. strong) selected words which are of high importance. Sometimes it is good to bold your keywords and phrases where appropriate. However overdoing this may enable you to get penalized. You can use the (e.g em) tag to emphasize selected words which will show up in italic. Your websites content need to optimize in this way that it will better search engines and readers. Stuffing your website with too many keywords can make it unreadable. So you should keep balance in between your keywords and content. Try to keep your keyword density roughly 2-5% in your content. If your website has images, you need to optimize. Because search engines can not read it. It is very simple for a human reader to translate the image into its meaning. Particularly a Web spiders or crawler the entire interpreting process is totally different. Search Engine spiders are only able to read text but not images. So you should use some special tags for your images to be able to provide some meaning. Alternate Text (ALT text) is the text to explain your image when your mouse moves over an image on your website page. The text needs to be meaningful but short. You may use your appropriate keywords as ALT text. It is very important to optimize your website internal and external outbound links for search engines and to give your visitors a better navigation. Try to use appropriate Anchor Text when you are back-linking with other websites. Include the suitable keyword in the anchor text which provides the outbound link an appropriate meaning and value.